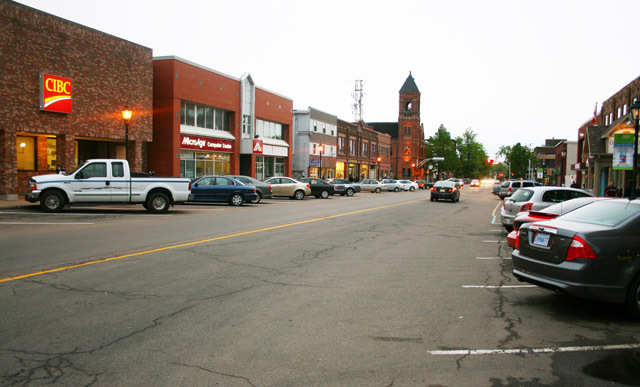 Summary: More outside capital and greater productivity are the keys to greater prosperity on Prince Edward Island. With the greatest dependence in Canada upon federal transfers to finance government, it is vital that the province better develop its own sources of wealth. But what P.E.I. needs is not a “rural revival.” Rather, it must commit to a growing economy and productivity. All communities – not just urban ones – can participate in this effort. The Island way of life has already changed. Generations ago, it was more common for families to live on traditional industries. Many still do, but people’s aspirations have evolved as the province opens to a wider culture. Islanders appreciate their close community bonds, but also aspire to a wealthier and more connected existence. Weale is right to use the word “dependency,” but wrong about the source of dependence. Far greater than any malicious capitalism is our reliance on other people’s money to finance government. Federal transfers contribute more, as a share of our budget, than in any other province. P.E.I. presently gets by on this arrangement. But if the province is to truly prosper, it must better develop its own sources of wealth. Economic growth is vital. Without the benefit of natural resource exploitation, growing the economy can come from two sources: greater productivity and more outside money. For productivity, the proportion of seasonal employment needs to decrease so that our labour will produce wealth year-round. A smaller share of the work force should be in the government sector. What P.E.I. needs is more year-round, private sector employment and more robust entrepreneurship among the native population. But to grow the economy, the most important factor will be greater outside capital. At some level, Weale would be right to worry if outside investors could not seed self-perpetuating development. Fortunately, Islanders can work cooperatively with outsiders – but only once they attract more outsiders to come here. Simply wanting this to happen isn’t enough. Our elected officials need to implement policies that will attract entrepreneurs to invest here. To do so, we should consider the following. Expand higher levels of the value chain in traditional industries where we already enjoy a comparative advantage. More value-added food processing would create jobs and expand existing industries. Give preferential tax and regulatory treatment to technology start-ups. For example, eliminate provincial taxes on substantial investments (e.g. $1-million and over) in such businesses so that these investments will provide greater benefit to the start-up. Deliver as many government services as possible to the web. This will reduce bureaucracy, encourage businesses to locate here, and tap into a niche market for simple, technology-based relations between commerce and government. Mr. Weale rightly encourages long-term thinking. But instead of trying to preserve the lot that is slipping away, why won’t we think bigger? Instead of asking “How can we barely afford the things we need?” why don’t we ask, “How can we become wealthier?” It is only if our policy makers adopt a growth vision that Islanders will prosper.